Graduation is an exciting time of year. Young people are getting ready to spread their wings and leave the nest. Parents are trying to figure out what they’ll do once the kids are gone. But before you can get to all that, you’ve got to make sure that graduation day goes off without a hitch, and everyone stays safe. Make sure your grad committee adds the following three important ingredients for a safe grad or prom night. Grad and prom parties tend to go late into the night (or perhaps we should say “until the wee hours of the morning”), and overtired party-goers aren’t ideally suited to getting themselves home afterwards. Asking new grads to drive themselves home when over-tired is a no-no, and not everyone has a parent or trusted adult available to act as chauffeur for the evening. If the grad involves drinking alcohol (many attendees will be of legal drinking age), the issue of ensuring that no-one drives home under the influence is a big one. For this reason, many grad committees make it a condition of attendance that none of the grads or their dates will drive themselves home – that way no-one is tempted to “chance it” due to peer pressure or the feeling that they don’t have a good alternative. The best way to deal with this is for graduation/prom party organizers to charter school bus transportation to get everyone home safely after the celebrations end. This ensures that everyone gets a safe ride home (no drinking and driving to worry about), it’s affordable (because the small cost is shared by everyone), and the kids will have more fun compared to making the trip home alone. Highly-trained professional school bus drivers know how to handle a big bunch of excited bus riders and are the perfect people to get your loved ones home safely on prom night. Prior to grad, organizers should make sure that all attendees understand the basic facts about alcohol consumption and how it affects the body; the differences in alcohol content between wine, spirits, and beer; the effects of food on alcohol absorption; and how alcohol consumption can affect different people in different ways. Knowledge is power and the more of it teens or new adults of legal drinking age have, the better equipped they’ll be to drink responsibly and stay safe. 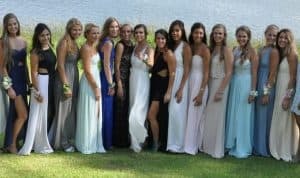 MADD Canada offers up this great article featuring safe prom/grad tips hat is a must share! Sure, the graduates are adults (or close to becoming one) – but it takes time for new adults to find their footing at celebrations that go on late into the night, especially when alcohol is served. Chaperones help keep them safe by keeping an eye out for signs of excessive drinking, helping those who need it, and making sure no-one circumvents the rules about not drinking and driving. Safe graduation and prom nights are fun and safe, if planned right! Gone are the days of kids going to grad, getting drunk, and stumbling home on their own afterwards. We know better now, and understand how to make this big event lots of fun, yet still safe. Make sure everyone has a designated ride home (school bus rentals for prom/graduation parties are generally the most cost-effective solution that doesn’t require parents to do the job themselves), don’t be scared to educate the young people about alcohol’s effects, and make sure there is an adequate number of volunteers to keep an eye on how the big party is going. Then brace yourself – you’re about to launch your new adult out into the world! Booking transportation for your grad or prom party in the Greater Toronto or Southern Ontario area? Whether you’re a school or a group of parents/organizers looking for safe and reliable busing, we have bus options to suit your group. Get a quote now!